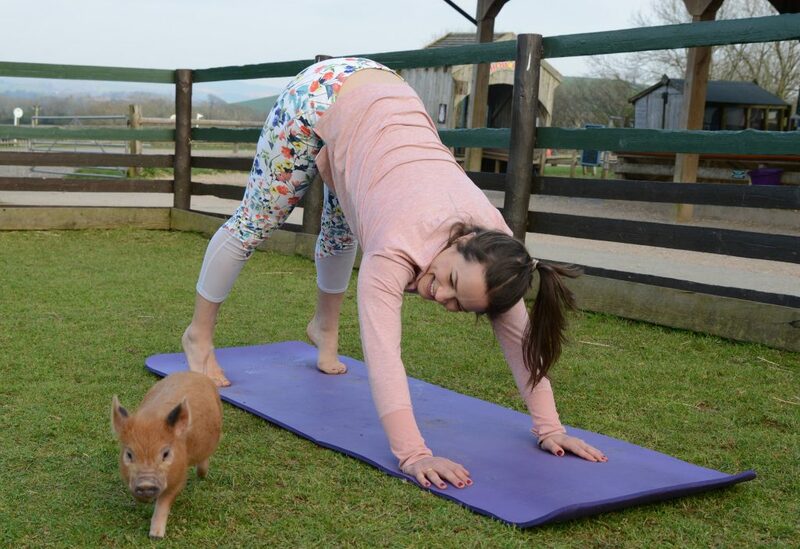 Pennywell Farm is introducing Piggy Pilates, something a little different when it comes to working out with animals. With Goat Yoga having made its way across the pond several years ago, exercising with animals has become a bit of a thing. Not to be left behind, Pennywell is launching Piggy Pilates to the world. Combining the best of a stunning farm location, animals and exercise the classes are already attracting a lot of interest and with Pennywell miniature pigs joining in, what’s not to love? Pilates teacher, Harry Parkes will be leading the sessions which will be followed by breakfast and the promise of piggy cuddles. Harry explains that while there is plenty of fun to be had, Pilates has many benefits including improving posture, movement quality, mobility, flexibility, mental cognition and core strength. The benefits of interaction with animals of any kind are widely known and touching animals releases many hormones such as phenyl ethylamine, the magic hormone which has the same pleasurable effect on the brain as chocolate. Pennywell’s owner Chris Murray says, “Exercise is an important part of life so should never be boring. You can have a real giggle and still have a good workout. Pilates was invented by German – born Joseph Pilates who believed that mental and physical health were closely connected. He designed his exercises to make the maximum use of your time by targeting the deep postural muscles of the body, building strength from the inside out and rebalancing your muscles.